Bring your imagination to the workplace of America’s greatest inventor! 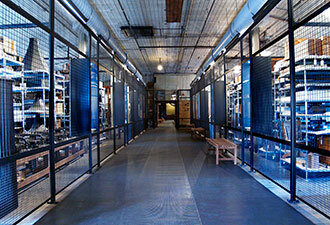 After a six-year renovation project, Thomas Edison National Historical Park welcomes you to 20,000 square feet of expanded exhibition space at its laboratory complex, the nerve center of the worldwide business empire Edison built from his inventions. For the first time you can see all three floors of the main laboratory building. 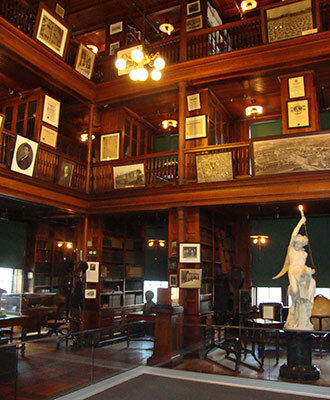 In the past, only treasures housed on the first floor were on view: Edison’s dramatic three-tiered office and library, where he greeted visitors and impressed investors; the stockroom, equipped with everything his “muckers” might need, from “the hide of an elephant to the eyeballs of a U.S. Senator”; and the heavy machine shop, where machinists operated the thundering lathes and planers as they turned out new products. Do you think you have what it takes to have worked for Thomas Edison? Try his test for potential employees. Now, head upstairs to see the drafting room, where engineers prepared blueprints and drawings, and the precision machine shop, where workers did finer detail work. On the top floor are the music room, home of some of the earliest experimental sound recordings, and the photography department, where staff photographers produced advertisements for Edison products. A huge open storage area displays film projectors, talking dolls, record presses, battery parts, bags of Edison Portland Cement, and thousands of other items. Across the courtyard from the main building is the chemistry lab, an essential part of all Edison’s experimental campaigns. Surrounded by ovens and tubes, chemists improved sound recording resins, perfected a practical storage battery, and refined goldenrod in a search for a domestic source of natural rubber. Nearby are the Black Maria, a replica of the world’s first motion picture studio, and the pattern shop, where woodworkers made models of products and prototypes. The visitor center boasts an expanded museum store and a theatre. 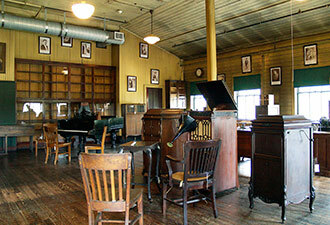 The rooms are virtually unchanged since Edison’s death in 1931. Explore at your own pace with a self-guided audio tour, which will introduce you to each room and provide background on Edison technology. What about home life? Explore the inventor’s domestic side at Glenmont, his 15-acre estate in nearby Llewellyn Park. A ranger leads tours through the Victorian mansion that was home to Edison, his wife Mina, and their three children. Mina, the “domestic executive,” ran a busy household and entertained the family’s distinguished guests. The garage houses Edison’s Model T (a gift from Henry Ford) and smaller electric vehicles. Thanksgiving weekend is a popular time for a visit, because it’s the start of the annual “Holidays at Glenmont” celebration, when the Edison home is decorated with all the Christmas trimmings of the early 1900s. Located just 12 miles west of New York City in suburban Essex County, the park is easily accessible via the New Jersey Turnpike and the Garden State Parkway. It’s a great day (or half-day) trip, and a treat for the whole family. For directions and more information, visit our website. We look forward to seeing you.